You'll immediately feel your stress levels fall away as you take in deep breaths admiring the natural beauty you're surrounded by - waterfall and creek, jutting rock formations on the upper levels, and mountain views. This beautiful 25 acre parcel conveniently located between Asheville, Black Mountain, Hendersonville, Lake Lure and Chimney Rock, has had some improvements added - electricity run to the property, packed gravel driveway put in, land clearing for home site and gardens, wild thyme ground cover, and partial septic permit awaiting site plan. 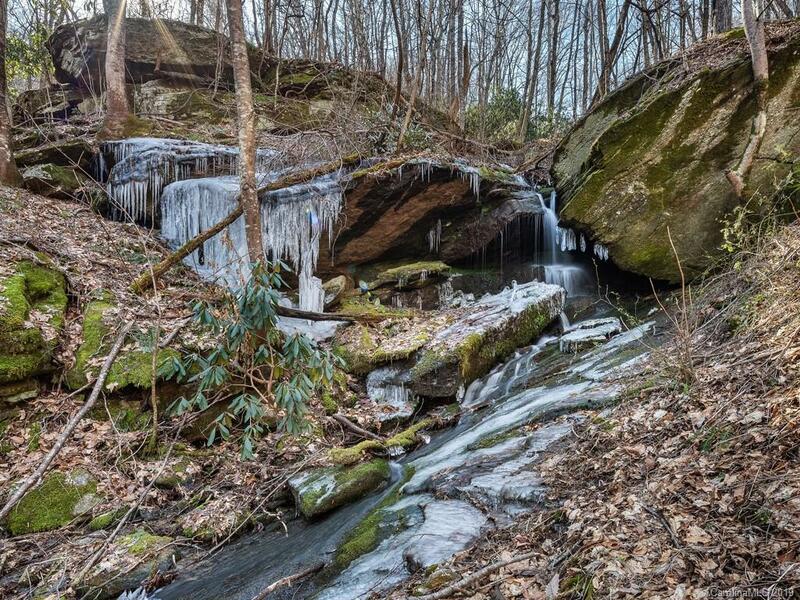 Plenty of nearby hikes in Hickory Nut Gap. Adjacent 11.82 acre parcel also for sale (MLS #3492422) for a total of 36 acre compound! Possible owner financing.